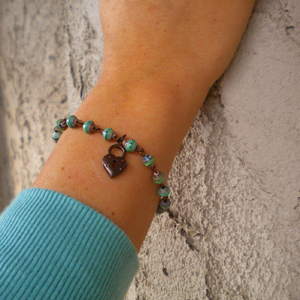 Small turquoise colored paper beads are connected with rosary loops to have that delicate feminine look. 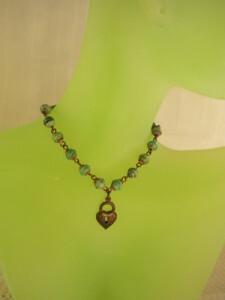 A brass heart charm completes the look! 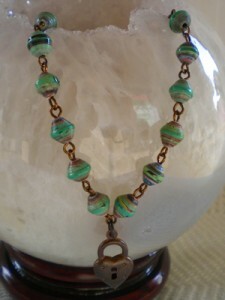 We used one inch eye pins and 6mm paper bead rounds. I do believe I have a tutorial on how to make rosary loops. If you haven’t been to my face book yet please check it out by clicking the button on the right, we have new painted saucer shape beads. I really love this look. I love the color combo too.